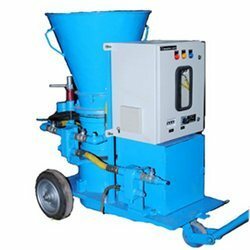 Prominent & Leading Exporter from Howrah, we offer gunning machines, converter gunning machines, tundish gunning machines and high efficiency gunning machines. 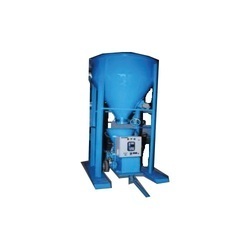 We manufacture and supply Gunning Machines in two sizes namely D -3R and D -6R with an output range of 1.0 to 2.0 m3/hr. Also, we offer bigger models which are available in rotary gunning designs with an excellent output of 5 to 6 m3/hr and is provided with remote control features. The major benefit of the product is achieved when the furnaces are repaired in a hot environment. The net time consumed for cooling and then reheating of the furnace along with the thermal losses are prevented by the machine. This leads to an increase in savings in term of power loss as well as the availability of the furnace is increased considerably. Rotor Capacity 1.6 Lt. 2.8 Lt. 3.6 Lt. 5.0 Lt.
Owing to our reliable performance in this market, we have been able to carve a niche as foremost manufacturers & exporters of Converter Gunning Machine. In compliance with international quality standards, we are manufacturing these gunning machines using high grade materials. Our Converter Gunning Machine is widely used for repairing of electric arc furnace AOD, VOD in hot & cold conditions, injection of coke in molten metal bath and foamy slag applications. We have gained rich industry experience in the field of manufacturing and supplying an extensive range of Tundish Gunning Machines is manufactured using hi-end technology at our ultra-modern manufacturing plant. 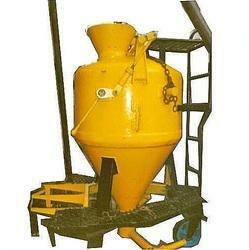 We are using high grade raw material to manufacture these products. We are committed to maintain the quality of these products by strictly following the set industry norms and regulations. We provide each client a distinctive quality of work along with technical expertise with latest innovations. 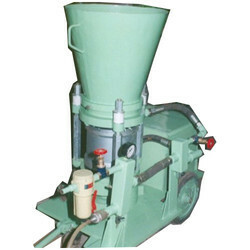 We have marked a distinct position in the market by providing High Efficiency Gunning Machine.Due to its significant attributes such as rugged construction and less power consumption, our gunning machines are highly accredited in the market. Our offered High Efficiency Gunning Machine is mostly used for repairing of electric arc furnace in hot and cold conditions. Looking for Gunning Machines ?